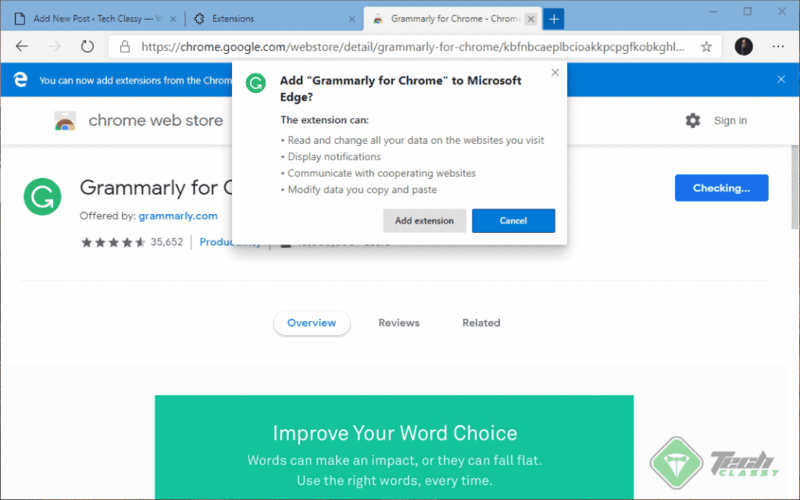 In 2018, Microsoft has announced a New edge browser based on Google’s open source project Chromium. We were waiting for a beta. Finally, The wait is over! 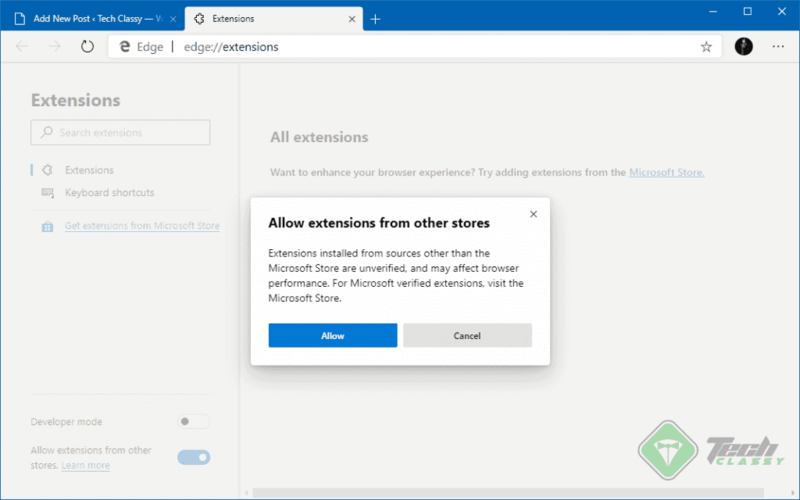 Today, Microsoft has released its first Chromium based Edge preview build to the insiders. So, You can download it now and welcome the new browser. It is very easy to do. Thanks to Softpedia. Now, You can download it from softpedia. To do it, follow the link below. You can now download it directly from the Microsoft. To do it, follow the link below. Currently, Dev and Canary builds are available to download. You should download the Dev addition as it is more stable. But, Canary build will get more frequent updates. Now, You can add your favorite extensions/add-ons to the very fist insider version of edge. Microsoft has already make the store live. As the store of Microsoft has a few collections, you may want to install extensions from the Google Chrome store. But, How to do it? Well, You can follow these procedures. First of all, In your new edge browser address bar, type edge://extensions/ and hit enter. It will lead you to the extension page. Then, Find your favorite extensions and install it in your new Edge browser. Right now, This Chromium based Edge browser is not a public beta version. It is a developer preview build. So, It can cause various issues. Though, In my test, I have not found any problem till now. Even, I’m writing this post from the new Microsoft Edge. An interesting thing is the Microsoft’s brand new browser doesn’t have a dark mode feature yet like the original one. But, This feature is included as experimental. So, You can enable it manually. To enable dark theme, Type edge://flags/#edge-follow-os-theme in the address bar and hit enter. Now, Find the option “Microsoft Edge theme” and enable it. The dark theme is not yet complete. Because, It will just add black layout in a few places. The settings page won’t be dark. In upcoming releases, MS will improve it. 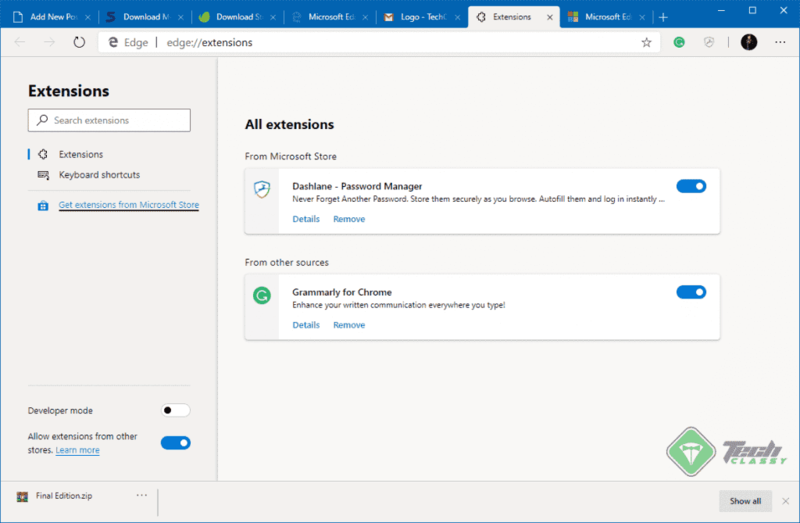 As the new browser is in still in development state and not yet finished for even a public beta, MS won’t allow users to sync its sensitive data like passwords, history, addresses, phone numbers etc. But, It will only sync favorites only. More of the features listed above will become available for sync in the coming months. Your browsing data will sync across all your signed-in devices using Microsoft Edge Insider Builds. So, You should wait for a few more months to see a complete chromium based Edge Browser. If you already have been using this Edge chromium, let me know how is it your overall experience.